The COM Carrier board is a reference design for custom carrier boards using Embedded Artists COM boards. 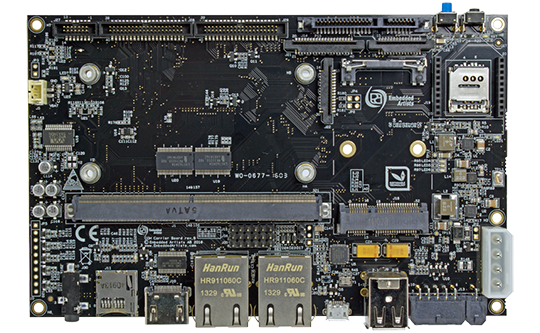 Together with a COM board a Single Board Computer can be created, ready to be integrated into your product. The on-board connectors such as M.2, SDIO, XBee makes it simple to add RF solutions. Murata WiFi/BT evaluation boards are directly supported. It is easy to add a display to the carrier board using the COM Display Adapter. See the page Display Solutions for COM boards for more details about how to add a display. 165 x 104 mm (same size as a typical 7 inch LCD). * Note: the used COM board must support the specific interface to make use of the carrier board interfaces/connectors.